Everybody loves a good loophole, right? Remember all you’ve heard or read about the ‘NHL member teams cannot have contact of any type with their players during the lockout’ stuff? 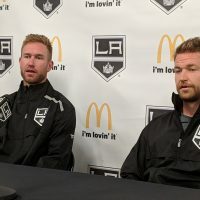 Well, here’s a new wrinkle – Kings goalie Jonathan Quick was not only skating at the team’s practice facility today, but he was wearing his usual team-issued practice jersey and participating in drills with team employees (Daryl Evans, new assistant coach Davis Payne and a few members of the training staff). 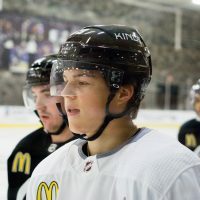 To stay in shape, Dustin Brown and some of Quick’s teammates have been using one of the pick-up league locker rooms and renting ice time at Toyota Sports Center for a few hundred dollars per hour. Plus, they’ve been wearing NHLPA jerseys as well. The explanation and difference is simple enough, the league and the NHLPA have at least been able to agree on one thing – it’s for the betterment of both sides that injured players get the best care possible. Thus, if a player was injured before the lockout – which Quick was – he can use the team’s staff and facility for rehab purposes. So, for now, Quick remains a man somewhat on his own island. Today marked the one week anniversary of Quick’s return to the ice after off-season back surgery. That may not seem like a milestone achievement worthy of mentioning when compared to some of the other highlights he’s experienced this year, yet it’s an important step along his road to a full recovery. Next up for Quick will be the addition of Kings goaltending coach Bill Ranford. As cliche as it sounds, Quick isn’t looking too far ahead. This process isn’t about a deadline, per se. It’s more like a day-to-day situation. 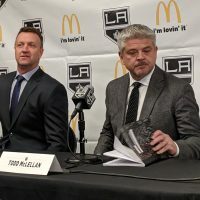 Reflecting on what the team called a ‘minor surgical procedure’ to repair a disc fragment and an inflammatory cyst back on August 9th, Quick says he doesn’t remember being nervous as he was about to go under the knife. Anybody who’s ever had surgery knows, it’s the waking up that can be the best part. People are known to say some crazy things as they’re coming off the anesthesia. Did Quick’s wife catch him mumbling anything weird? So, back to the rehab and where things stand. Quick is being as cerebral in his approach to healing as he usually is to shutting down opponents attacking his net. 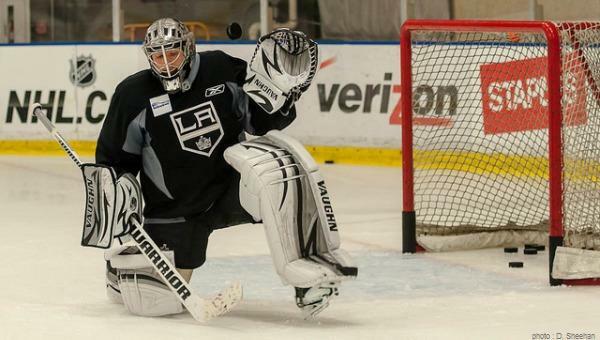 For now, he’ll keep doing that with full use of the Kings training facility and various members of the team’s staff. How long things remain that way though is still TBD. Great Article. I totally forgot about the injured players are able to work with the coaches and what not. Good to see that Quick is back on the ice and getting back into shape! 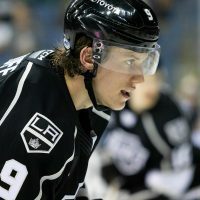 For a fan that has waited so long to finally be proud to cheer on the KINGS – totally hate the lock-out! GKG!! It’s great to see him wearing that kings jersey. Feels like a season is right around the corner even if it isn’t.